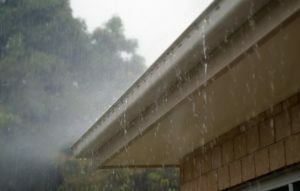 Eaves Trough & Downspouts | Calgary & Area Roofing & Siding Contractors - Action Roofing & Siding Ltd.
At the downslope edge of your roof it is crucial to have eavestroughs, otherwise know as gutters, installed to direct water away from your home. In combination with downspouts (downpipes), this system directs water to the appropriate areas around your home that will prevent water infiltration at your foundation. Collectively this system is know as “Rainware”. As with all aspects of available exterior options, here too we have options. In general rainware is an aluminum product that is site built and installed to fit every individual home. However there are options; different sizes of aluminum rainware are available, other material types can be used such as copper, galvanized steel, PVC, and Cedar (although rare). As part of a full service exterior company we are a one stop shop for your exterior needs. Give us a call today and let us help you get the exterior you want! Copyright Action Roofing & Siding Ltd.